Rebecca graduated from the University of British Columbia in 1996 with a Bachelor of Science in Physical Therapy. She initially developed her main interest for muscle balance and exercise prescription while working in North Vancouver. This is where she took Shirley Sarhmann’s muscle balance courses that inspired her present focus on specific exercises to treat mechanical dysfunctions. 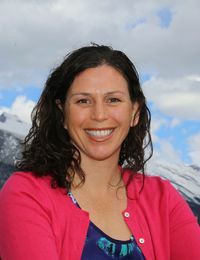 She moved to Banff in 2000 and started working at Banff Physical Therapy. She rapidly developed extensive knowledge in sport rehabilitation. Working monthly with our local orthopaedic surgeons at their intake clinics, Rebecca is always up to date and educated on all of the recent surgical techniques and rehabilitation protocols. This ensures a seamless transfer of patient care from the operating room to the physiotherapy gym. Rebecca also completed her acupuncture certification in 2004. It is through a diligent home exercise program and habitual change of postures that Rebecca believes is the solution to a pain free healthy body. Since arriving in Banff, Rebecca’s family has grown! She now is the mother of 3 active boys. In the winter, you can see her most weekends at Lake Louise with the boys and most evenings at the hockey arena. In the summer they are out hiking, biking, and enjoying all the outdoor lakes in the area. Personally, Rebecca keeps fit by training for triathlons, doing a home yoga program, attending the boot camp classes at the Fairmont Banff Springs in the mornings, mountain biking and running with friends. Committed to helping you achieve your physical therapy goals, Rebecca will do everything she can to help you. Kelsey graduated from the University of Alberta with a Bachelor of Science in Kinesiology with distinction and Master of Science in Physical Therapy. She has experience working with athletes and the general population in all areas of orthopedics in both private practice as well as a hospital setting. Although she enjoys treating all areas of the body, she has a special interest in hand and upper extremity injuries. Kelsey is passionate about remaining up to date with the most current research. Using an evidence based approach to treatment, Kelsey helps her clients attain their individual rehabilitation goals through hands on, patient specific treatment. Her focus is on finding and treating the cause of symptoms to prevent future reoccurrence. Kelsey is dedicated to pursing further professional development and has completed post-graduate courses in manual therapy, myofascial release, concussion management, acupuncture and functional dry needling. Kelsey has a love for adventure and the great outdoors. Outside of the clinic, you can find her enjoying the mountain air, hiking, biking and skiing. She also enjoys kayaking, taking photographs and going to the yoga studio. Fabienne was born and raised in Banff. 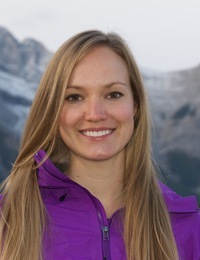 After graduating from the Banff Community High School she moved to Edmonton where she completed both a Bachelor of Science in Kinesiology and a Masters of Science in Physical Therapy at the University of Alberta. Fabienne’s philosophy of treatment is that injuries occur from not only trauma but also dysfunctional movement. She believes assessing global movement patterns and identifying dysfunctional movement patterns is key to understanding pain or dysfunction. She uses a variety of handson techniques including manual therapy, functional dry needling/IMS, soft tissue release, and exercise based therapy. The goal of these treatments is to individually guide patients in resolving their pain, restoring and optimizing movement, and preventing further injury. Fabienne competed in many sports including alpine ski racing, gymnastics and varsity level pole vaulting. She also enjoys traveling, rock climbing, and training in Crossfit. 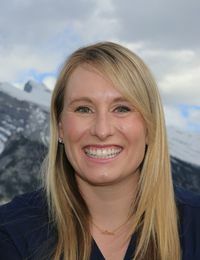 It is her love for people and sports that made her choose a career in physiotherapy as well as work as a physio with the Canadian Paralympic Alpine Ski Team. 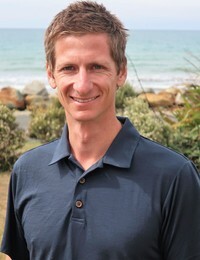 Nick graduated with a Master’s in Physiotherapy Studies from the University of Queensland, Australia in 2009. Since graduating, Nick has worked in orthopaedic and sports injury clinics in both New Zealand and Canada. He is driven to provide an exceptional standard of care, which led to completing a Master’s in Orthopaedic Manipulative Therapy from the University of Otago, New Zealand in 2016. He is a Fellow of the Canadian Academy of Manipulative Physiotherapy. Nick has a strong evidence-based approach to his clinical practice, remaining up to date with current orthopaedic and sports injury research. His thorough examination process is the basis to an effective management plan, specific to each person. Nick utilizes a range of skills, depending on your condition – hands-on manual therapy, dry needling, acupuncture and exercise prescription, combined with a strong focus on empowering the patient through education. Nick has additional training in managing vestibular/balance disorders, as well as a special interest in disorders affecting the jaw and climbing related injuries. Outside of the clinic, Nick can be found with his wife and daughter in the outdoors – climbing rock and ice, skiing snow, kayaking white water and biking trails. Originally from New Zealand, it’s a dream come true for Nick to be living with his family in the Bow valley.